Lecturing readers or taking customers for granted has been shown to be a recipe for disaster, Hamish Nicklin writes. The general elections of 2015 and 2017 and the Brexit vote all produced shocks. So what do the largest media outlets – "the biased MSM", as partisans sometimes label us – need to learn from these results? First, humility. The media has debated for at least 30 years the extent of the influence of newspapers on elections. Some strident voices thought that they had swung the Brexit vote – and that their ability to tell readers how to vote, and who to believe, was absolute. In today’s connected world, voters get their news from a range of sources, so they don’t necessarily believe the first thing they read. Social media doesn’t reduce the relevance of major news sources, but it means news and views are open to deeper questions. Understanding people as active readers, as citizens, not just consumers of leader columns, has always been the approach taken by The Guardian. The Guardian editorial team certainly give a view and endorsed Jeremy Corbyn. But, ultimately, The Guardian tries to empower people with facts, opinion and analysis to help them make up their own minds. That’s why our journalists spent so much time beyond the London bubble, seeking out the voices of the young, the first-time voters, the undecided and the party stalwarts. So the second lesson is: don’t just talk. To retain trust, it’s crucial to listen to readers and non-readers. Listening does not simply equate to mining data. 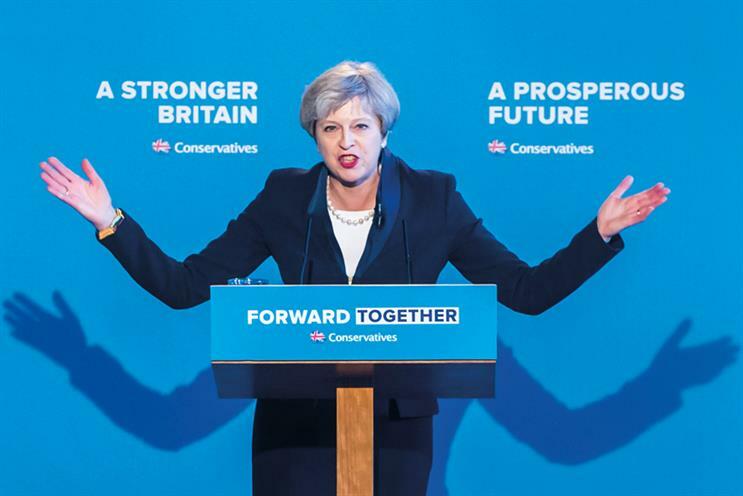 Reflecting on what the Tories got wrong, Theresa May’s former aide Nick Timothy lamented: "Modern campaigning techniques require ever-narrower targeting of specific voters, and we were not talking to the people who decided to vote for Labour." There are lessons not only for political parties but also brands, advertisers and agencies. As brands consider how best to reach the public and persuade them to take action, we have to look at a mix of facts, data and context, of head and gut, and avoid selecting bits and pieces that create their own self-affirming narrative. Who in the ad world, when reading about political over-targeting, blind to local context and potential voters, didn’t pause for thought? This felt like an example of the worst of programmatic advertising. Brands, like political parties, must use a mix of channels, broaden their audience and think of long-term gains, rather than driving a short-term direct-response campaign with poor data and execution. When we are promised job lots of consumers most likely to buy our products, we should think about long-term goals and where our brands are being shown to these cheap eyeballs. A Thomson Reuters survey found where an ad is seen has a huge impact on how it is perceived: 87% think it’s damaging for a brand to advertise on a news site associated with fake news; more than 50% think they are more likely to notice a brand if it is on a trusted news site. The days of large-scale audience at the lowest cost, across any platform, should be over. While trends in marketing and politics change, core principles don’t. If you want people to view your brand positively, make sure they see it in a place you’re proud to be associated with, don’t lecture them, don’t treat them like they can’t think for themselves, don’t take people for granted – and don’t lie. False assumptions and an over-emphasis on micro-targeting seem to have cost May. Reliance on such methods could prove costly for newspapers and brands too. The election was a timely reminder to look up from our spreadsheets, beyond the promise of immediate direct-response returns, listen to the public and communicate in ways that capture the public mood. With a news agenda that has never felt more chaotic, trust, facts, respect and integrity will win out.